The creativity of the students, staff and parents at Destiny School for the Arts was on full display at the Leesburg Christmas and Holiday Parade on Saturday. 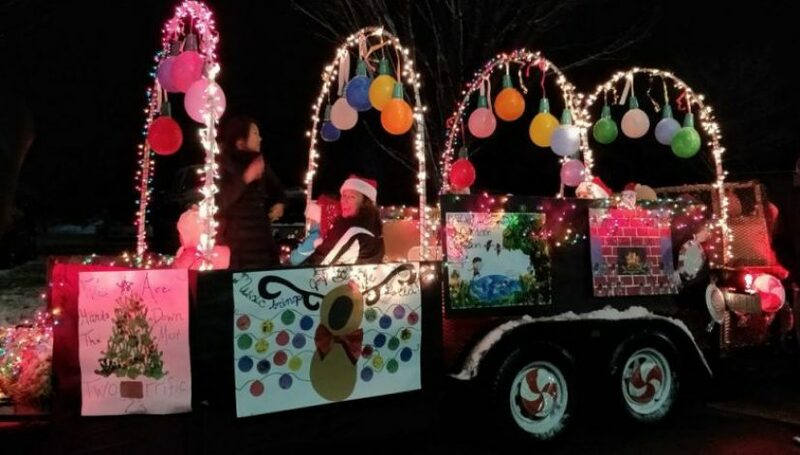 The school’s colorful float won the town’s Holiday In Lights trophy, sponsored by Loudoun Now. Destiny School for the Arts’ float was decked with balloons and plastic cups that looked like big ornaments, as well as holiday scenes painted by young students. Judges had a tough time choosing just one winner. The parade featured several brightly lit floats, that made their way past hundreds of people lined up along the sidewalks of King Street. The lights and Saturday’s snowfall made for a memorable parade.